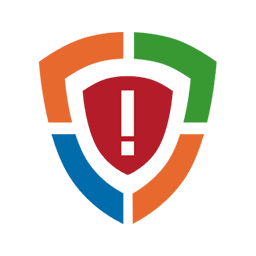 HitmanPro.Alert is an anti-malware/anti-exploit solution by Surfright that provides real-time protection for home and business PCs to guard against cyber attacks such as prevalent and zero-day software exploits, drive-by downloads, online fraud, and identity theft. HitmanPro.Alert includes the discovery abilities of HitmanPro and can run alongside your current antivirus or by itself. The software analyses behavior and can stop attacks without requiring prior knowledge of the attack. It protects your computer systems even before new and undiscovered threats are formally addressed by security updates and antimalware solutions. It is also comes with anti-ransomware capabilities to keep your files safe. It does not only stop ransomware as it activates but rolls back any encryption that the ransomware implemented before being stopped. Disclaimer: Direct downloads for the lastest version of HitmanPro.Alert 3.7.6.739 are provided by the official software's author, we can't guarantee safety, availability or download speed. Moreover, we don't and we won't provide any pirated/illegal versions or tools. We recommend you to avoid it as these methods can harm your device. If you like the software, buy it to support the developers. (We provide software discounts for many worldwide brands).